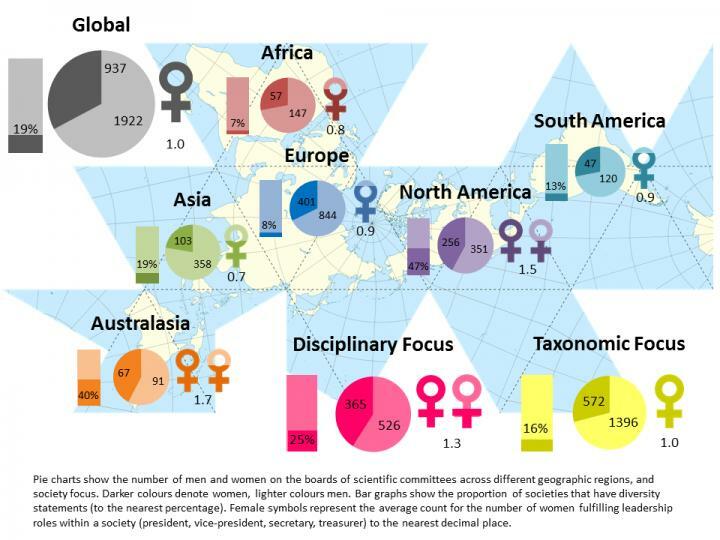 The researchers' findings suggest that women may be more highly represented in smaller societies with at least one woman in a leadership position. However, this representation still falls far short of equal (~30%). To promote gender equity within academic societies, researchers recommend a push to increase female leadership and including a constitutional commitment to equality, such as a statement of support.